The prescribing of contact lenses requires further examinations to ensure optimum design, fit and vision, together with instruction regarding handling and care of your contact lenses. These consultations will only be covered by Medicare if your optical prescription is over a certain power. However, once your contact lenses have been optimally fitted, your ongoing regular reviews can then be bulk billed on an on-going basis. Today there is a vast range of different types of contact lenses available, and our experienced Optometrists are able to prescribe Ortho K and MiSight contact lenses for Myopia Control as well as other specialist custom made lenses, in addition to disposable soft toric contact lenses for astigmatism, disposable one-day, multifocal, coloured and extended or overnight wear contact lenses – there is a contact lens for nearly everyone! 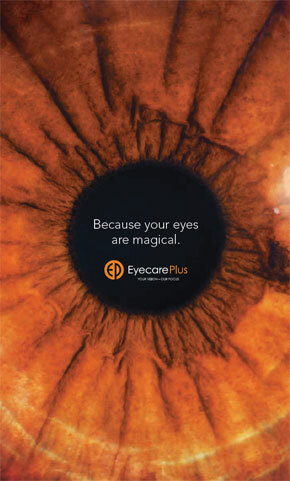 Our Optometrists are all well qualified to advise about the most suitable type of contact lenses for you. In most cases we are able to supply FREE trial contact lenses so you can be confident that the contact lenses prescribed will work for you. Caring for your contact lenses is now very simple with the use of multipurpose cleaning, storage and disinfecting solutions. At Strachan EyecarePlus our disposable contact lenses are all priced at 15 to 40% OFF the Recommended Retail Price. On top of this, significant BULK ORDER SAVINGS are available – 10% for 4 boxes, and 15% for 8 boxes. FREE postage can be arranged for 6 months supply or more of 2 weekly or monthly contact lenses, or for 2 or more boxes of 90 packaged daily lenses. Our contact lens patients are also entitled to a 10% DISCOUNT off contact lens solutions and non-prescription sunglasses to wear over the top of your contact lenses, all year around! And of course our contact lens patients are comfortable in the knowledge that the care and expertise of our Optometrists is always available to them. At your regular reviews we will keep you updated about the latest releases in contact lens design and materials and may well recommend a free trial of a new type of contact lens that may prove to be even better than your current lenses! And should one of those inconvenient situations arise whereupon you have torn or lost you last contact lens, we will be only too happy to help out by supplying a replacement trial lens at no charge. Contact lens orders can be emailed to us via the Contact Us page on this website or via the Contact Lens Reorder tab under the Contact Lens header, and postage to you can be arranged.